REXA X2 Linear Actuator - Eastern Controls, Inc.
REXA was founded in 1981, by Robert Glomeau, former President and CEO of Masoneilan who was driven by his need for a better actuator for the process control market. REXA’s mission is to deliver world-class, high performance, and reliable products and services. Through innovative engineering, design, and an unwavering commitment to customer satisfaction, REXA seeks out the most challenging industrial process control issues and develop a customized, user specific solution. What is the X2 Linear Actuator? 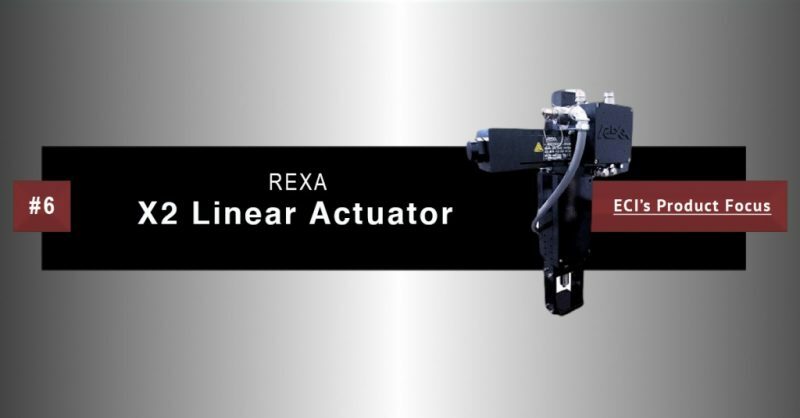 REXA Linear Actuators are ideal for control of globe valves, gate valves, turbine control or any valve application requiring stiff control and instantaneous response. The Electraulic™ Technology features a self-contained design that minimizes system oil volume, eliminates routine oil maintenance, reduces energy consumption, and provides precise, repeatable process control. Fail Safe Capable – Fail safe on loss of main power is easily adapted to any REXA Actuator configuration. This is accomplished by either a coil spring or nitrogen-charged accumulator system. Required output of the actuator, unit configuration, and installation envelope will determine which fail safe option is best for your application. Control Parameters – Standard control parameters allow for fine tuning each actuator to specific applications. Calibrate each actuator’s pan to match valve stroke, program electronic limit switches, customize the desired actuator speed, fine tune motor acceleration/deceleration to eliminate overshoot, adjust dead-band sensitivity, and even create a nonlinear flow characterization with the push of a few buttons. Manual Override options – When electric power is unavailable, REXA actuators can be operated with one of two manual operators; a declutchable handwheel or manual hydraulic pump. For more information regarding the X2 Linear Actuator, as well as other REXA products, please contact ECI by filling out our contact form and a representative will reach out to you within 24 business hours.